There are so many theories and concepts about how to best raise a child. Sometimes it can be hard to distinguish what is a groundbreaking development, and what is simply the latest trend or fad. 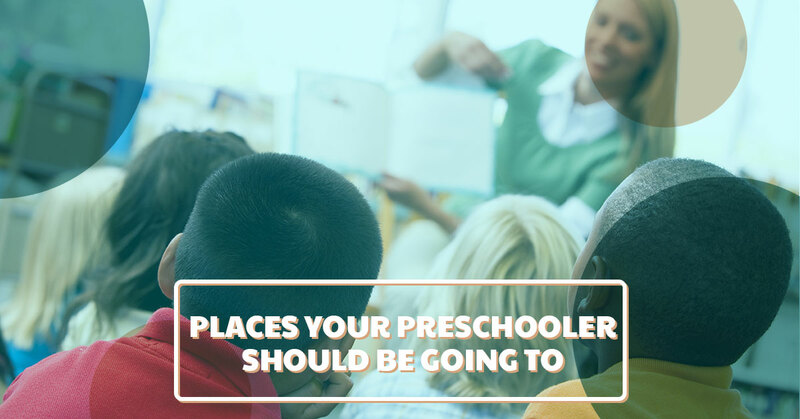 However, one thing that can be said is that there are a few places that every preschool-aged child should be visiting and attending, as a routine part of life. At Strong Start, we are Trumbull’s preferred choice for daycare and preschool from parents, educators, and families alike. See not just how your preschooler will grow, but specifically where this will happen, and enroll in Strong Start today! The library is one of the best possible resources for families everywhere. Libraries are not only equipped with beautiful children’s sections that are full of an equally beautiful selection of books, but there are regularly scheduled events, specific to preschool-age kids. Sign your child up for arts and crafts time, science experiments, read-alouds, and so much more. There are often reading incentive programs, which promote a love for reading, as well as literacy development as a whole. The fact that it’s free is the cherry on top of the beautiful sundae that is the library. Instead of spending money on tons of books, find everything you and your child need at the library! Regular visits to the library will help enrich their personal interests as well—those animal or tractor books just can’t be beat! Libraries also guide kiddos in learning responsibility, such as caring for property and turning things in on a deadline. Taking your preschooler to the library as a routine is one of the best things you can do for their growing minds. Physical activity is so crucial to every person, regardless of age. With this in mind, it’s very important to start healthy habits early, and to encourage playing outside. It doesn’t take too much time spent with a preschooler to know that they are bursting with energy; the park is a great place to expend some of that energy by being active. Practically every parent or guardian would agree that physical activity and outside time are exponentially better than time spent in front of some form of screen, which is why regular trips to the park are a must. Not only is the physical development essential to every preschooler, but trips to the park mean chances for social interaction and social skill practice. This is a critical aspect of development that will carry with a child for the rest of their lives. Working on taking turns, sharing, expressing their feelings, and playing with others is so vital for your preschooler to learn, and the park is a great place to make this happen. Preschool is one of the most important factors in a person’s life. The reaches of the benefits of an early childhood education program extend far beyond the ages of four and five. In fact, the size of a child’s vocabulary by the time they enter kindergarten is reported to affect the rest of their educational career, carrying over into all other aspects of their life. Preschool is considered one of the most absolute factors that determine future academic success, as well as success in general. Don’t delay getting your child the best start they deserve—build these locations into a routine part of life, and your child’s growth will subsequently see such positive results. We focus so much on how our children are growing, that we often forget to consider the huge part that environment plays into their development. Visit the library, play at the park, and enroll your child into Strong Start in Trumbull for preschool today!